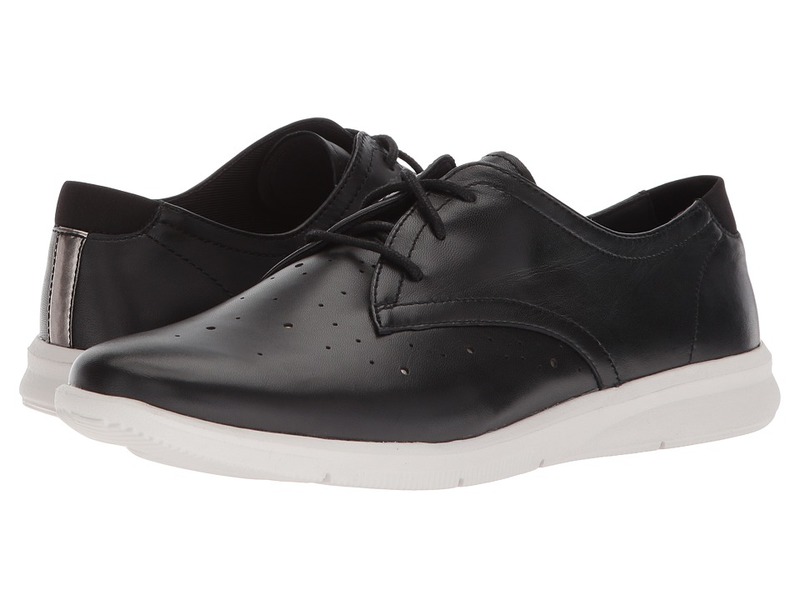 The sleek and sporty menswear-inspired Ayva Oxford from Rockport transforms your look from disheveled to snazzy in a snap! Premium leather or suede uppers with brogue and metallic details and a round toe. Adjustable lace-up closure. Soft and breathable fabric linings. Features a removable, fully cushioned Ortholite foam footbed for all-day comfort and breathability. Strobel Construction provides a flexible wear. Lightweight and shock-absorbing EVA midsole. Durable EVA outsole. Imported. Measurements: Weight: 5 oz Product measurements were taken using size 8, width M (B). Please note that measurements may vary by size. Weight of footwear is based on a single item, not a pair. Forge a new path on your next outdoor adventure in the super-sporty Franklin sandal from Rockport. Durable leather and neoprene uppers with an open toe. Features three-point adjustability with hook-and-loop fasteners at heel, instep, and toe straps. Breathable and moisture-wicking neoprene linings. 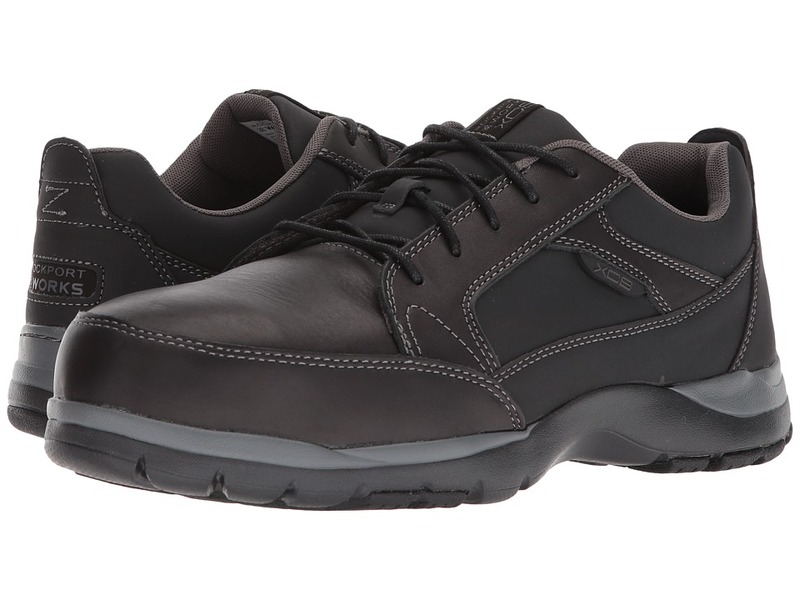 Microfiber and leather-lined EVA footbed offers generous contoured cushioning for all-day comfort and support. Durable rubber outsole. Imported. Measurements: Weight: 11 oz Product measurements were taken using size 7.5, width W (C). Please note that measurements may vary by size. Weight of footwear is based on a single item, not a pair. From brunch to the boardwalk, take a retro revival out for a stroll in the comfortable and classic Rockport Vivianne 2 Part Sandal. Platform sandal features a leather upper and fabric lining. Adjustable slingback strap. Durable polyurethane footbed cover provides a soft feel. 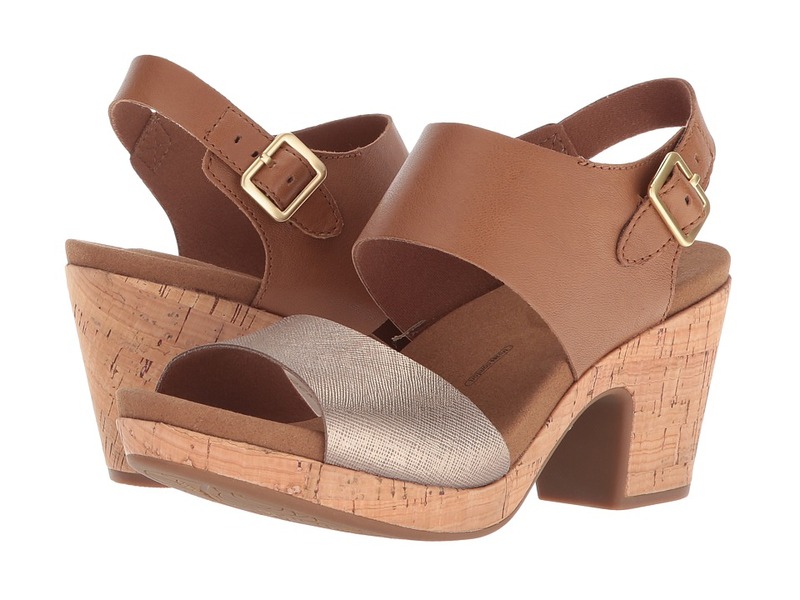 Cork-wrapped platform heel. Rubber outsole. Imported. Measurements: Heel Height: 3 in Weight: 11 oz Platform Height: 1 in Product measurements were taken using size 7, width M (B). Please note that measurements may vary by size. Weight of footwear is based on a single item, not a pair. 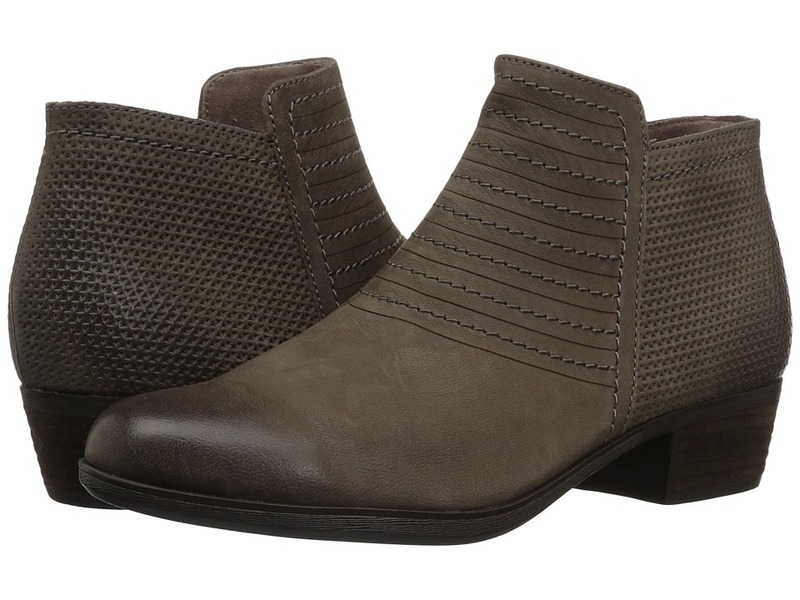 The Rockport Total Motion Alaina Mule slip-on combines minimal designs with maximum comfort! Upper is constructed of a soft leather. 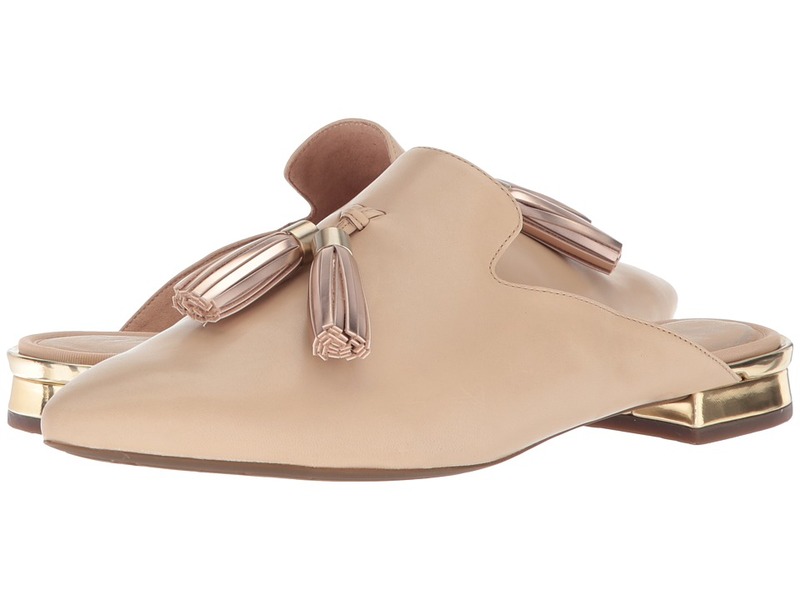 Open-toe styling with slip-on mule design. Foam padded textile lining provides plush comfort. Retention foam footbed promotes firm responsiveness and cushioning. TPU plate within the midsole provides extra stability and support. Heel movement is reduced due to non-slip split-suede. truTECH technology provides shock-absorbing rubber pads along the heel and outsole. Durable rubber outsole constructed for wide range of motion and traction. Imported. Measurements: Heel Height: 2 in Weight: 9 oz Product measurements were taken using size 8.5, width M (B). Please note that measurements may vary by size. Weight of footwear is based on a single item, not a pair. Chic styling with comfort to last! The Rockport Total Motion Alaina Caged sandal is the total package! Upper is constructed of a supple suede. Open-toe styling with zipper closure. Soft to the touch textile lining is cushioned for extra comfort. Foam padded insole contours to your foot for plush cushioning and a personalized fit. Midsole constructed with TPU plate to promote extra stability and support. Suede-wrapped heel. Heel movement is reduced due to non-slip split-suede. truTECH technology ensures extra durability and shock-absorption at the heel. Flexible rubber provides excellent traction and wide range of motion. Imported. Measurements: Heel Height: 2 in Weight: 10 oz Product measurements were taken using size 8.5, width M (B). Please note that measurements may vary by size. Weight of footwear is based on a single item, not a pair. 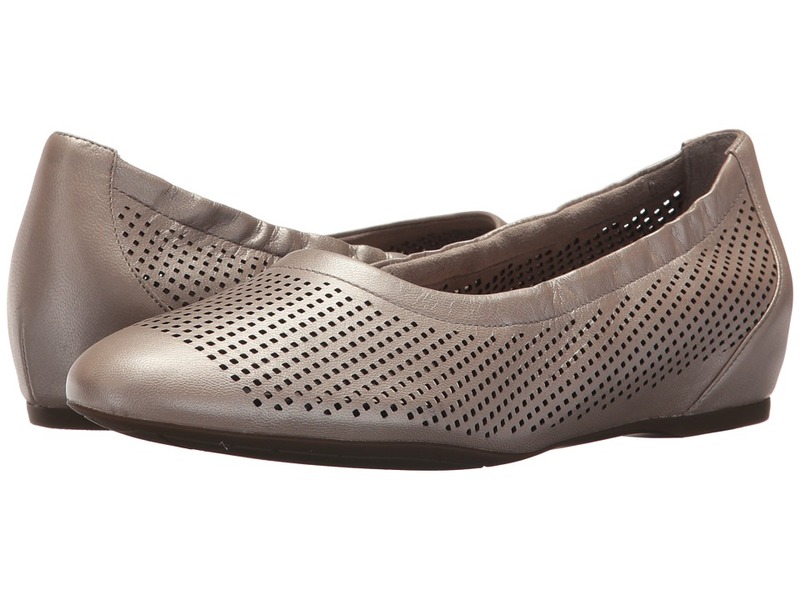 Look and feel your best throughout the day with the stylish Rockport Total Motion Adelyn Ankle shoe! Soft and supple full-grain leathers. Textile lining provides breathable wear. Pointy toe design. Adjustable ankle strap with buckles. Zipper closure at back. Rubber outsole in a low heel. Imported. Measurements: Heel Height: 3 4 in Weight: 8 oz Product measurements were taken using size 9, width W (C). Please note that measurements may vary by size. Weight of footwear is based on a single item, not a pair. The modern and chic Total Motion Salima Two-Piece Pump perfectly polished off any look. Leather or leather and suede combo uppers with an almond toe. Ankle strap offers an adjustable buckle closure. Breathable textile lining and a textile-covered insole that is cushioned for all-day comfort. Glove-like fit with no break-in period. Lightweight comfort system designed to provide shock absorption in the heel and rebound at the forefoot. Total Motion&amp#8482 construction with a thermal plastic urethane plate in the sole to create stability and disperse shock. Wrapped, block heel. Durable rubber outsole. Imported. Measurements: Heel Height: 2 1 4 in Weight: 9 oz Product measurements were taken using size 9, width M (B). Please note that measurements may vary by size. Weight of footwear is based on a single item, not a pair. You~ll never have to sacrifice style for total comfort when you~ve got the Total Motion 20mm Hidden Wedge Luxe Perf Slip-On from Rockport. Premium leather uppers with perforations throughout and a round toe. Elasticized slip-on design for quick and easy on-and-off. Soft and breathable textile linings. A cushioned, retention foam footbed provides maximum comfort and support. Lightweight comfort system designed to provide shock absorption in the heel and rebound at the forefoot. Durable rubber outsole with 20 mm hidden wedge heel height. Imported. Measurements: Heel Height: 3 4 in Weight: 6 oz Product measurements were taken using size 8.5, width M (B). Please note that measurements may vary by size. Weight of footwear is based on a single item, not a pair. Get on-trend style with the comfort-enhancing Total Motion Trixie Perf Shootie. Premium perforated leather upper features a center seam and open toe. Heel strap offers an adjustable buckle closure. Foam-backed fabric linings provide a comfortable wear. 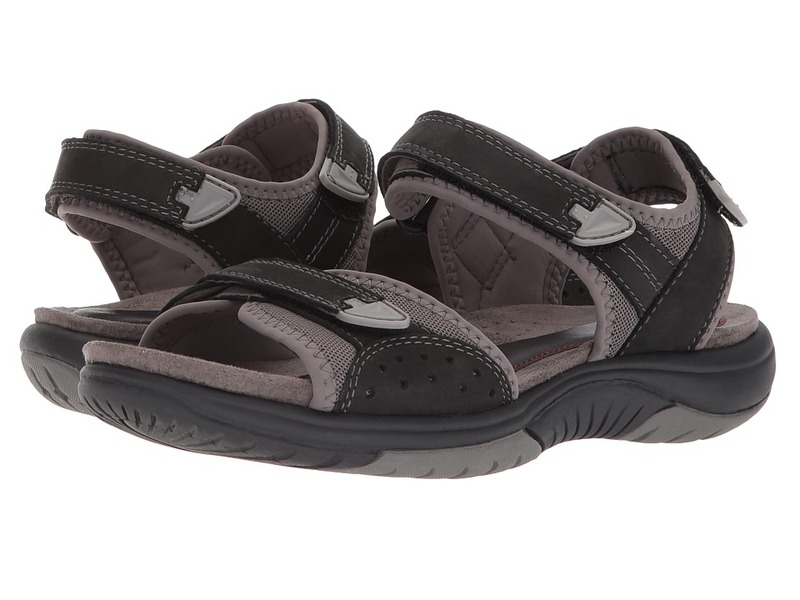 Generously cushioned, fabric-lined footbed offers all-day comfort and support. Features truTech and truTech+ technology designed to provide lightweight comfort, shock absorption in the heel and rebound at the forefoot. Total Motion construction with a thermal plastic urethane plate in the sole to create stability and disperse shock. Durable rubber outsole. Imported. Measurements: Heel Height: 3 in Weight: 10 oz Product measurements were taken using size 8, width W (C). Please note that measurements may vary by size. Weight of footwear is based on a single item, not a pair. Treat yourself to pure luxury with the Total Motion Zuly Luxe Tassel. Smooth leather upper with tassel details at vamp and a pointy toe. 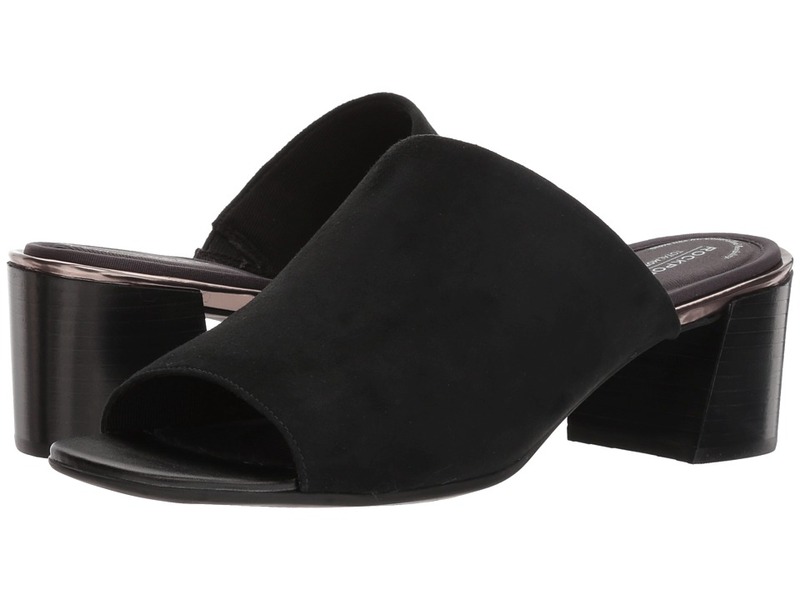 Slip-on mule for quick and easy on-and-off. Soft, foam-backed fabric linings for a comfortable wear. Generously cushioned, fabric-lined footbed for all-day comfort and support. Features truTech and truTech+ technology designed to provide lightweight comfort, shock absorption in the heel and rebound at the forefoot. Total Motion construction with a thermal plastic urethane plate in the sole to create stability and disperse shock. Flexible TPU midsole for added support. Modest heel with a metallic sheen. Durable rubber outsole. Imported. Measurements: Heel Height: 3 4 in Weight: 8 oz Product measurements were taken using size 7.5, width W (C). Please note that measurements may vary by size. Weight of footwear is based on a single item, not a pair. Your tailored look comes with comfort in the Total Motion Valerie Luxe Pump. 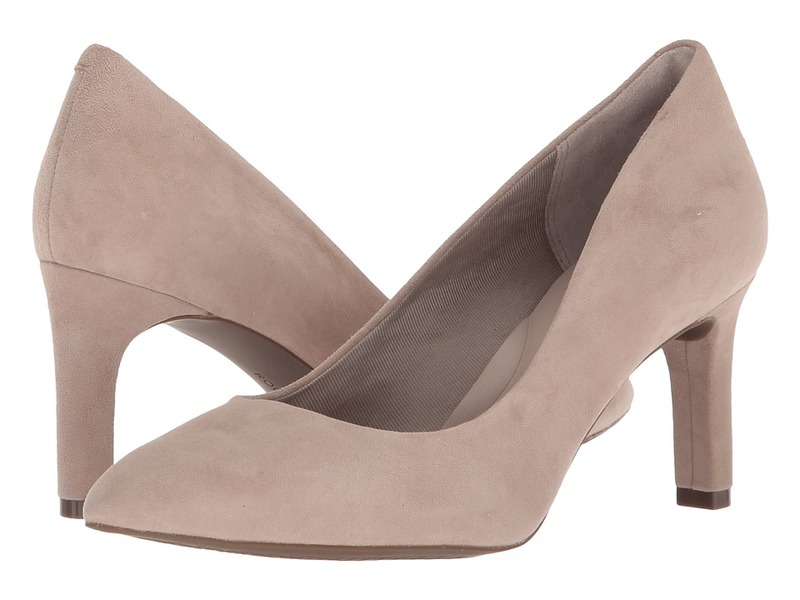 Rich suede uppers with a pointy toe. Easy slip-on pump. Soft and breathable, foam-backed fabric linings. Features a Total Motion retention foam footbed designed for lightweight durability and shock-absorption. truTech and truTech+ midsole provides shock absorption at the heel and rebound at the forefoot. Sculpted and wrapped heel. Durable man-made outsole. Imported. Measurements: Heel Height: 3 in Weight: 8 oz Product measurements were taken using size 8, width W (C). Please note that measurements may vary by size. Weight of footwear is based on a single item, not a pair. 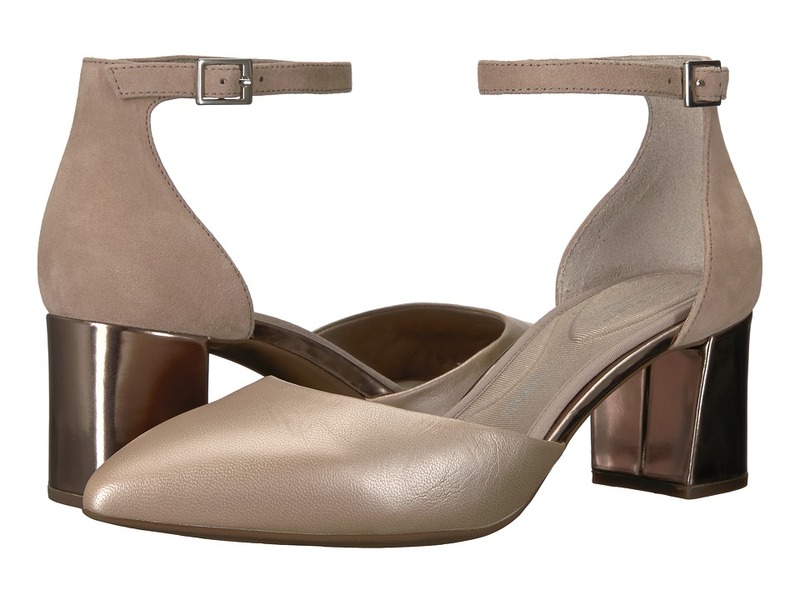 The Rockport Vanna Strappy bootie is modest, chic, and ready for every day. Premium leather uppers with a perforated back panel with stitched straps at front, and a round toe. Medial side zipper closure. Soft and breathable microfiber linings. Features a tru365 comfort footbed designed with full cushioning from toe to heel for shock-absorption and all-day comfort. Modest block heel. Durable rubber outsole. Imported. Measurements: Heel Height: 1 1 2 in Weight: 12 oz Shaft: 4 in Product measurements were taken using size 8.5, width M (B). Please note that measurements may vary by size. Weight of footwear is based on a single item, not a pair. The Kingstin Work Lace-Up complements your work attire while keeping you safe. Style number: RK6676. Steel toe meets ASTM F2413, EH safety standards. Safety rating includes: Better: slip-, oil-, abrasion-, and chemical-resistant performance. Good: heat- and metal-chip-resistant performance. Steel toe. Lace-up closure. No exposed metal on upper. Premium leather upper. Moisture-wicking nylon mesh lining. EVA cushioned removable footbed with truTech shock absorbing heel pad and truTECH+ rebounding forefoot pad. EVA midsole cushioning provides daylong comfort. Slip-resistant rubber outsole. Imported. Measurements: Weight: 1 lb 2 oz Product measurements were taken using size 11, width D - Medium. Please note that measurements may vary by size. Weight of footwear is based on a single item, not a pair.